"ArchDaily is one of the most visited architecture websites worldwide, with over 300,000 daily readers and about 70 million page views per month as of 2014. Founded in March 2008 by David Basulto and David Assael, ArchDaily includes three regional websites in Spanish (Plataforma Arquitectura, ArchDaily México, ArchDaily Colombia and ArchDaily Perú) and Portuguese (ArchDaily Brasil). It has a partnership with the Pritzker Architecture Prize and was one of five finalists for the Best Online Magazine prize on Mashable's 2009 Open Web Awards." 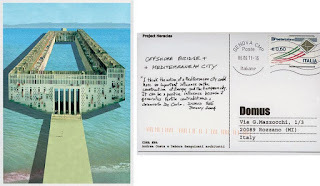 2016 - Archdaily - Call for ideas to BUILD a WALL. This is precisely the reason why ArchDaily should -1- Remove immediately from their website the Building The Border Wall? competition, which unclear and suspicious content changed several times, and people behind (Third Mind Foundation) are still playing with secrecy ; and, they should -2- Present expressly apologies to their 'millions' of readers. 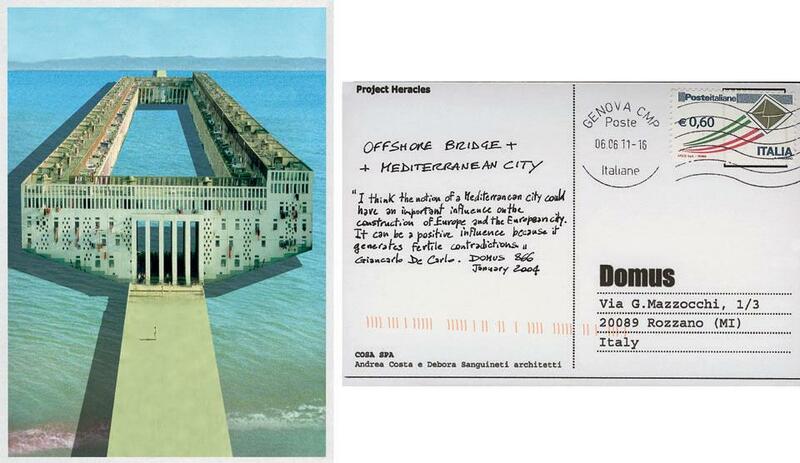 2011 - Domus - Call for ideas to IMAGINE a BRIDGE. Call for entries published >here. "Times are changing, so fast." That being said, things must be clear. The primary objective of this approach is to raise awareness, not to take action against a particular person or a particular website. In the other hand, we architects, especially in this kind of sensitive context, we have a high responsability. We have to be more vigilant and more relevant to avoid (any possible) confusion. Radical, Yes. Provocative, Yes. Doubtful, No. Think of architecture's metaphysical violence. What does architecture do? Architecture includes, and architecture excludes. Can we not see these two design objects, a border wall and refugee shelters, as two sides of the same coin? Can our theoretical insight into the question of designing a border wall not be deepened by reflecting upon the politics of building refugee shelters? As you said, the first excludes while the second includes. But of course, it's more complex and I'd be the first to debate (and be critical) on this sensitive issue. But actually the problem lies elsewhere. It is the amateurism of Third Mind Foundation and the "légèreté" of ArchDaily. So, yes from this point of view, this affair is (for me) a whole fiasco. As I already said: Provocative/Radical, yes. Doubtful/Amateur, no.